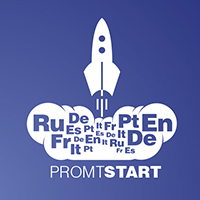 PROMT START is a service which aggregates all PROMT tools for translation of any kind of information. 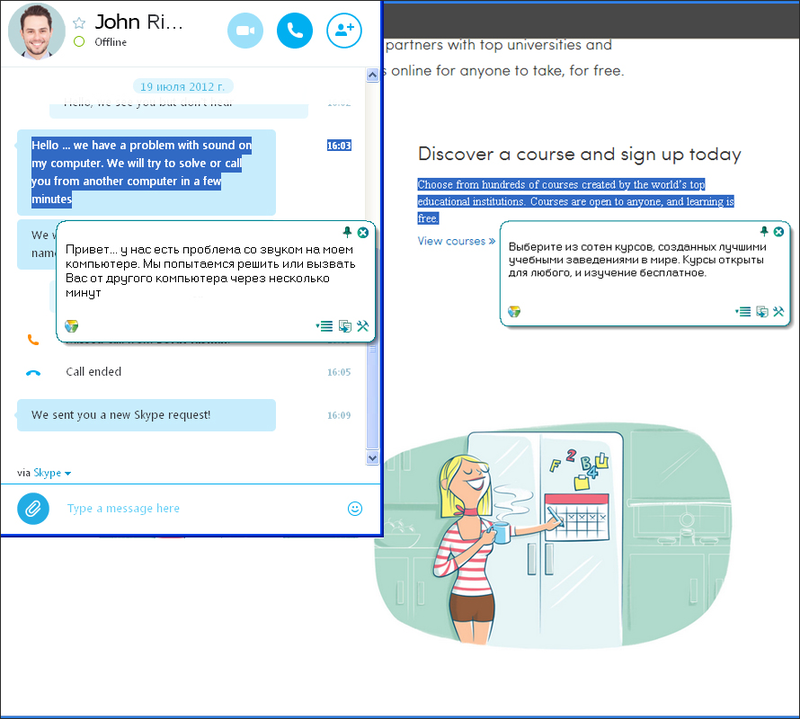 You get a unique cloud solution for an instant translation of any text and documents on your PC. email correspondence and instant messaging. grammar reference on word translations and variants of their usage. PROMT START is compatible with any operation system. Save your time, translate a word or a whole text in one click! The built-in PROMT Agent will help you to get translation right in the window where you are reading. You just need to select the text; press “Ctrl” twice and the translation will instantly appear in a PROMT Agent pop-up window. 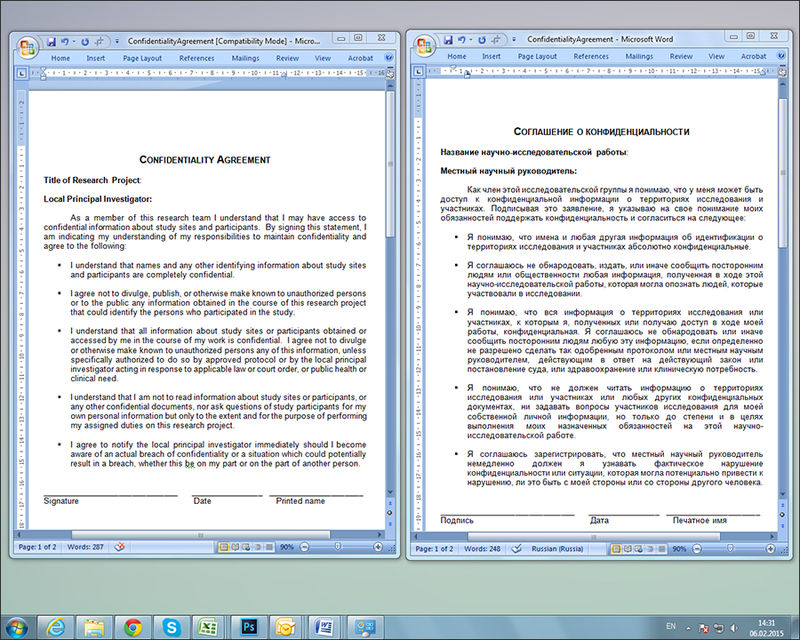 Unlike online services PROMT translates without unnecessary copying of text and program switching. Simplify your work with foreign documents. A short abstract or a multipage contract – with using PROMT Start translation takes only a couple of seconds. The resulting file completely preserves the structure of the original and is available for editing, so that you can change or improve it in your own way. PROMT Start translates documents of all popular formats: docx, xlsx, pptx, doc, xls, ppt, rtf, html, xml, txt, pdf, jpeg, png, and tiff. You will be surprised how easy it is to translate text on images using PROMT START! 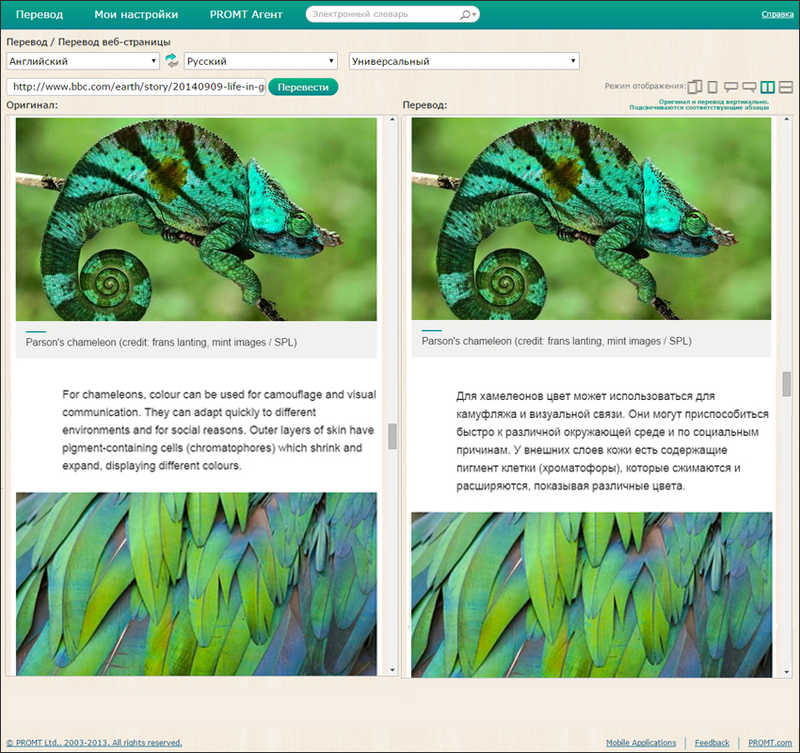 Pictures and banners on web pages, scanned images and even film subtitles – all this can be translated into Russian in one click. Enjoy convenient and quick translation of foreign websites. Due to the features of PROMT START any website can be automatically translated into English. 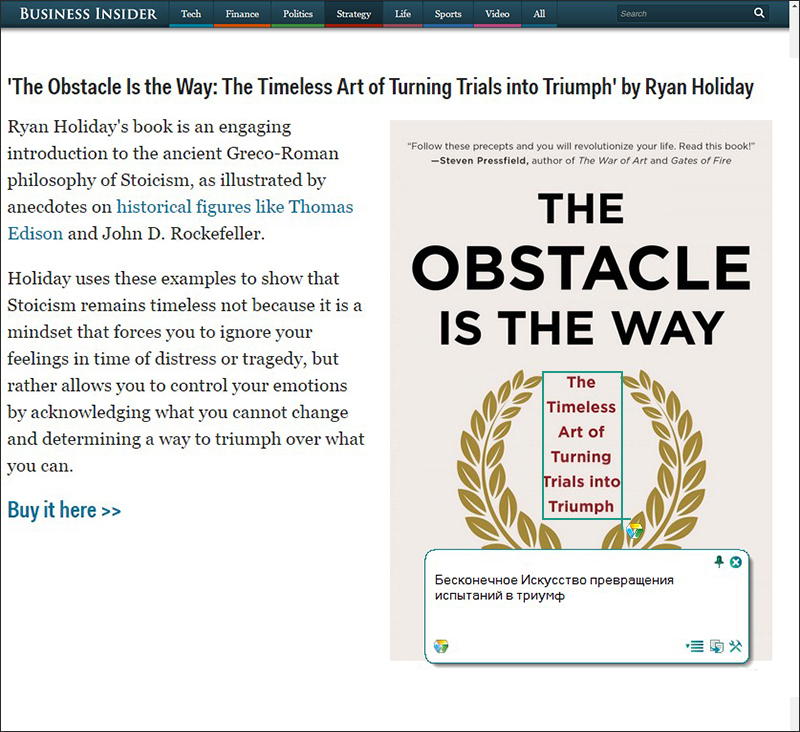 Furthermore the design of the website will remain 100% identical to the original. Achieve maximum quality of translation by using built-in dictionaries and topics. Translate words in relation to the context and text style for topics like: Business, Industry, Science, Machinery and IT. Using PROMT START you can get a translation of any text: documents, presentations, articles, books, websites, even scanned pdf and text from jpeg and png images. PROMT START comprises an extended set of languages and a full collection of dictionaries to make your translation more accurate. PROMT START uses a unique PROMT translation technology, which is applied successfully for more than 20 years all over the world. Thanks to innovative solutions of PROMT, the translator constantly learns and stores preferences and translation variants which are most often chosen by the user. Not only it improves the quality of translation but also makes the work with the program a lot easier. To install PROMT local infrastructure you will inevitably call for help of a technical support specialist. Choosing START you will be instantly connected to the virtual translation service and freed from any technical preparatory work. You don't need to purchase extra hardware or software. Using PROMT START it is possible to connect to the virtual translator in one click and use the unique service for only $45 for 3 months. English - Arabic and Arabic - English.